Canadian NBA star Andrew Wiggins had some explaining to do on Wednesday. 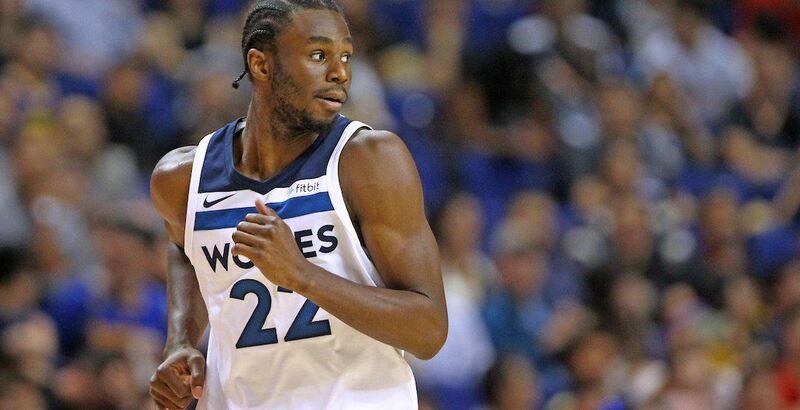 Following a 40-point performance in a 119-117 win by his Minnesota Timberwolves against the Oklahoma City Thunder, Wiggins was quoted as using an inappropriate word to describe OKC guard Dennis Schroder. Schroder was incensed by what he believed were Timberwolves players laughing following an injury to his teammate. The Thunder’s Nerlens Noel hit his head on the court while trying to defend a dunk attempt by Wiggins. Noel left the game on a stretcher. Schroder was heard yelling “What are you laughing at?” towards some Minnesota players. Id like to clarify what I said tonight during my post game media session. I said: “I don’t know what’s wrong with him he was just getting… acting crazy for no reason”. The NBA punishes players for offensive language, recently fining Denver Nuggets centre Nikola Jokic $25,000 for using a “derogatory and offensive language” during a post-game interview.